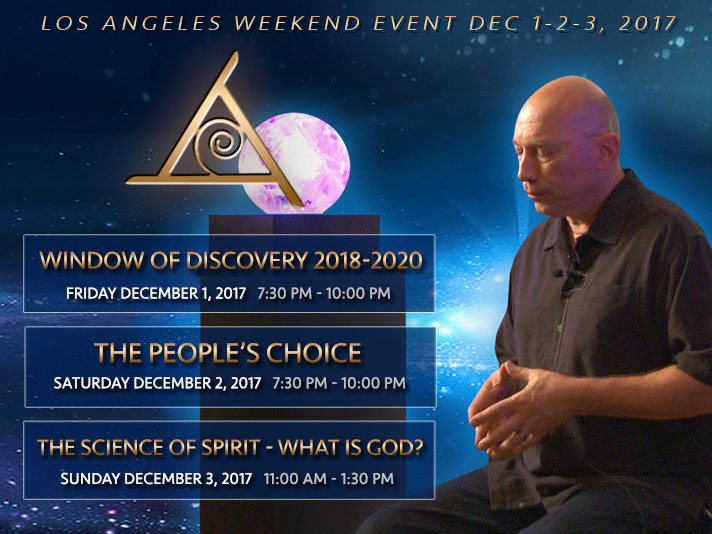 Bashar returns to Los Angeles for a December 3-day intensive event! The session we’ve all been waiting for! In The Window of Discovery, Bashar will talk about the upcoming three years and give his unique perspective on the changes we are going through and what we can expect. The years following the Fall of 2016 present a highly accelerated window of opportunity for discovery and acceleration as we ride the rapids into new versions of Earth. 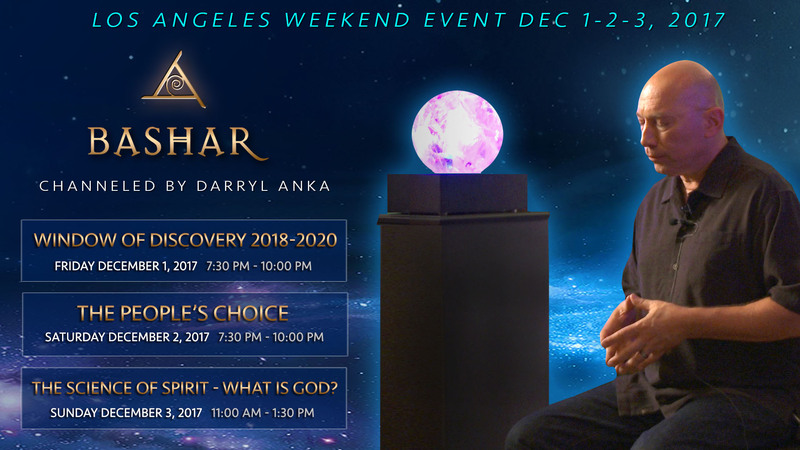 Bashar will share some ideas and perspectives on the different levels of perception and expansion that are now becoming available, so that we can move in our preferred directions with more ease and excitement than ever before. In this exciting session Bashar will use his unique insights to help us maximize our potential for creating our preferred realities in these interesting times. Bashar has found yet another way to switch things up! In The People’s Choice, the audience will vote on three topics or questions that Bashar has never discussed before, and Bashar will discuss it in depth. This will be a whole new opportunity to create a synchronous Bashar event in which Bashar is led directly by the group. The idea is to create new kinds of spontaneous interactivity on a topic that has never been discussed by Bashar before, giving a detailed look at some new ideas or topics in a whole new way. In The Science of Spirit, Bashar will discuss the true nature of God and its true relationship to science. He will explore the relationship between God and science in Earth culture and give us some new insights and ideas about using science and spirituality in empowering new ways. He will also revisit the AAA formula of Acknowledgment, Acceptance, and Allowance in the context of the window of discovery beginning in 2018, offering new ways to help propel and accelerate ourselves in these transformational times. *Early-bird discount expires 11-27-17. Regular price is $85. All ticket sales are final.